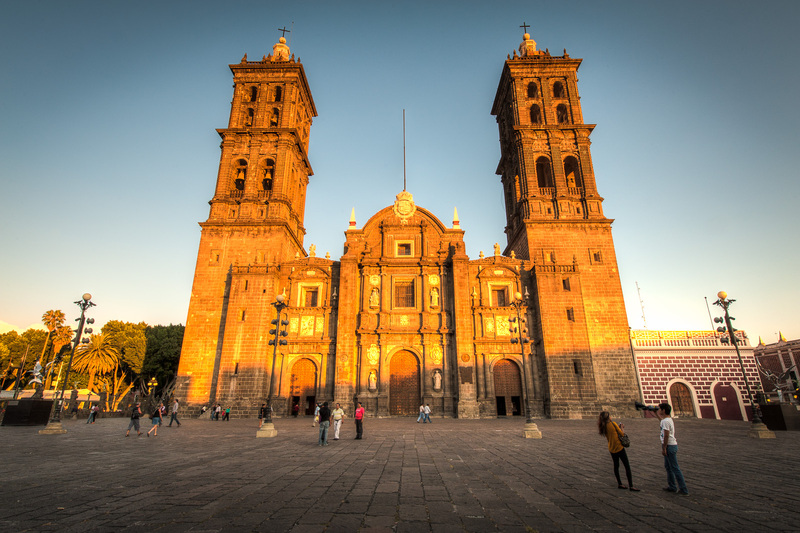 It was a very easy 4-hour trip from Queretaro to Puebla aboard an ETN luxury bus with assigned seats, free WiFi, a sack lunch, and wide, reclining seats with leg supports. This is the way to travel. It was like a moving snooze mobile with the drapes shut and everyone quietly sleeping, reading or watching the video (with headphones). If only flying could be this comfortable. Upon arriving in Puebla, we found the transportation booth and paid for our taxi to the hotel. Taxi fares are charged based on zones. Once the fare is purchased, the customer returns to the first floor taxi line and presents the driver with the receipt. The 45-minute taxi ride to our hotel in the center was about 60 pesos ($4.50). 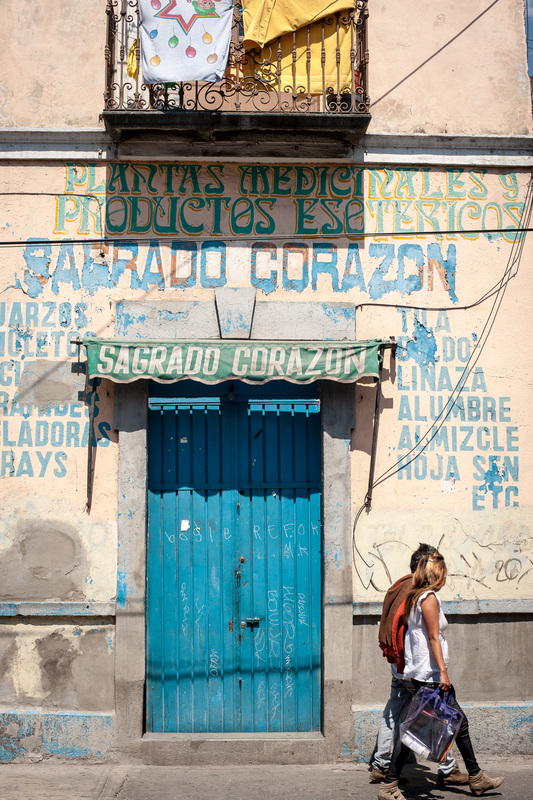 We came to Puebla because we'd never been here. 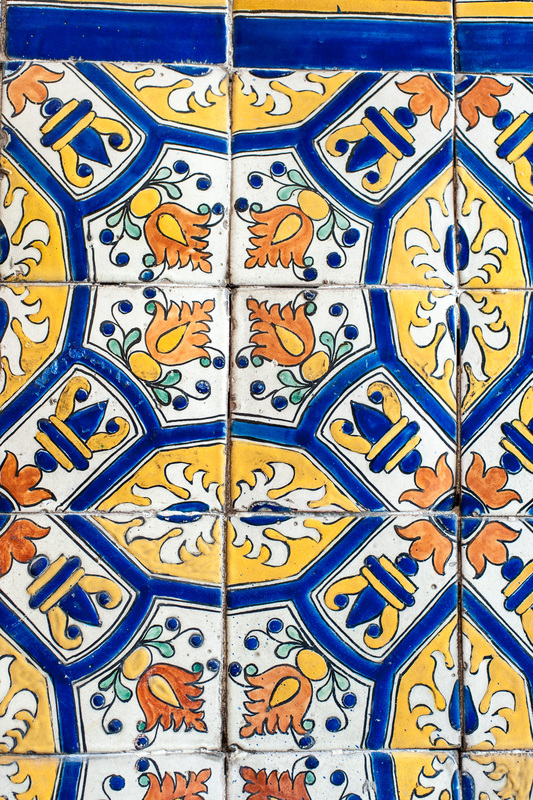 We hoped to see beautiful churches and buildings decorated with Talavera tiles, taste molé, and find out more about the Puebla War 1862 and why Cinco de Mayo is celebrated here. 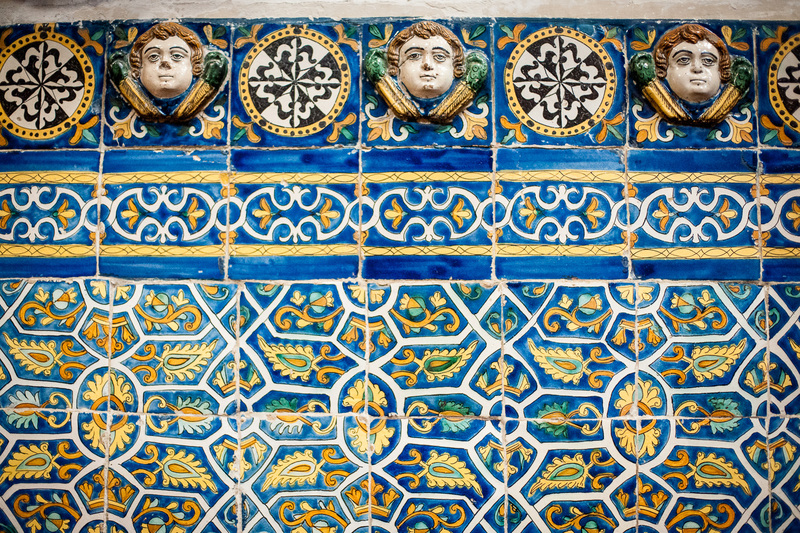 We toured Uriarte Talavera one of the oldest manufacturers of pottery/tile in Puebla. 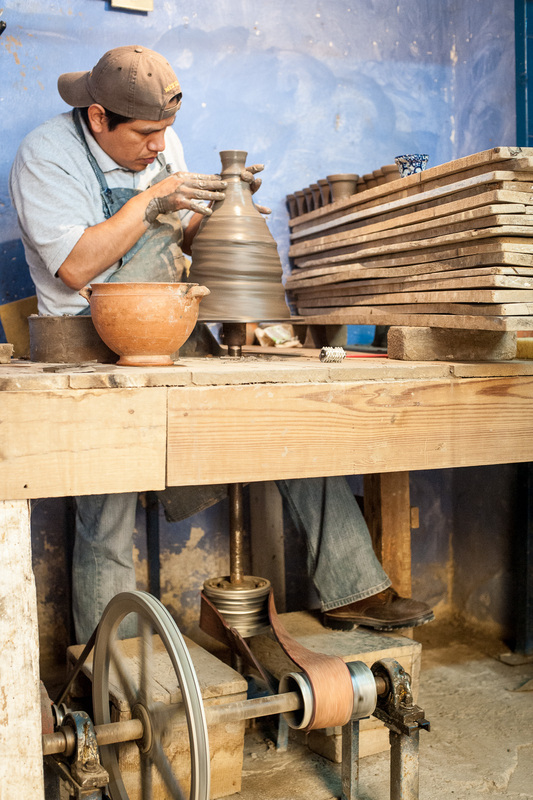 After conquering the Aztec Empire in Mexico, Spanish Majolica potters were brought to Mexico to produce pottery using the fine, red clays found in and around Puebla. 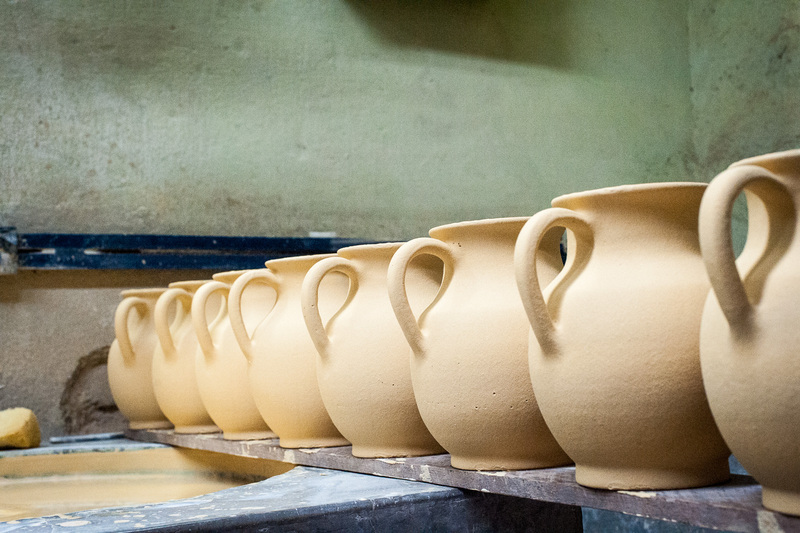 Uriarte, founded in 1824, continues to use the same 16th century process of producing pottery fired with a tin and lead glaze at high temperatures. 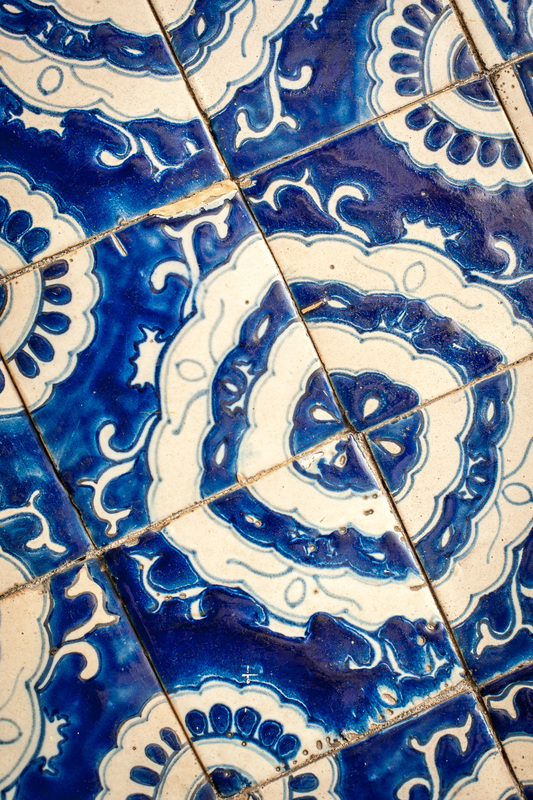 Decorations are only in black, cobalt blue, blue, yellow, green, red and sometimes deep rose and the designs are painted by hand. 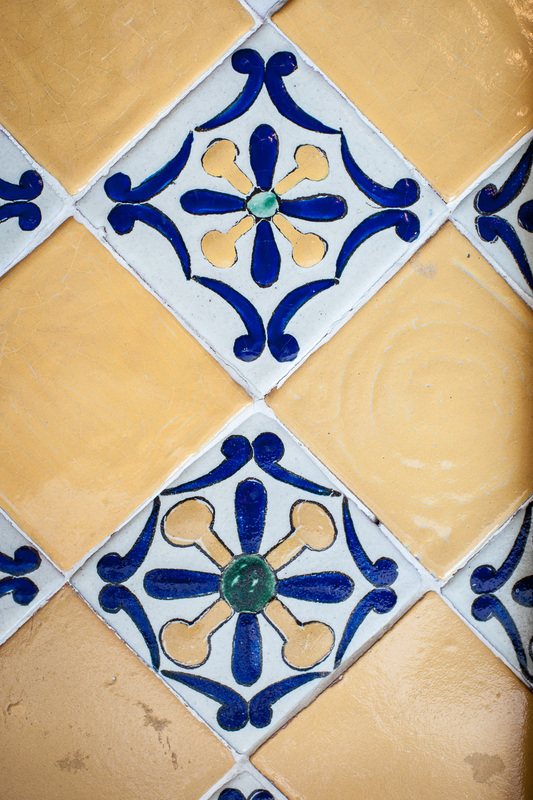 All over the Pueblo's historic center structures, renovated and not yet renovated, could be found covered with beautiful Talavera tiles. 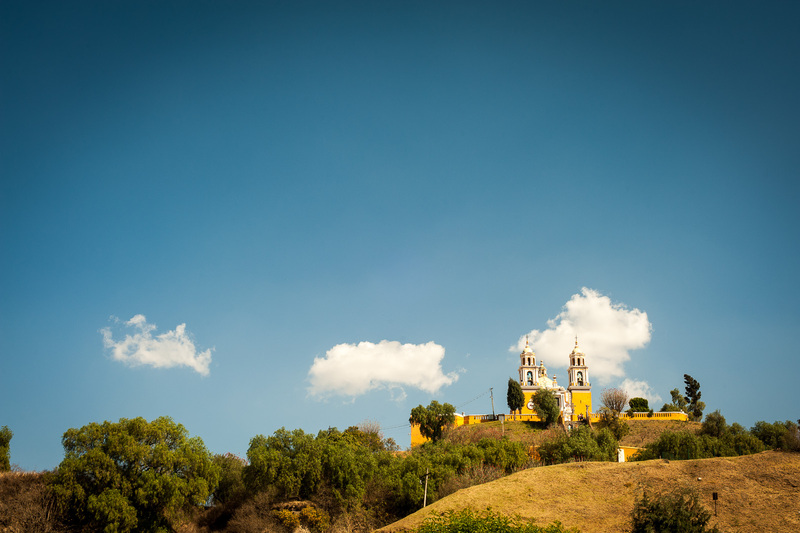 One day we took a several hour double decker tour bus to the nearby city of Cholula. 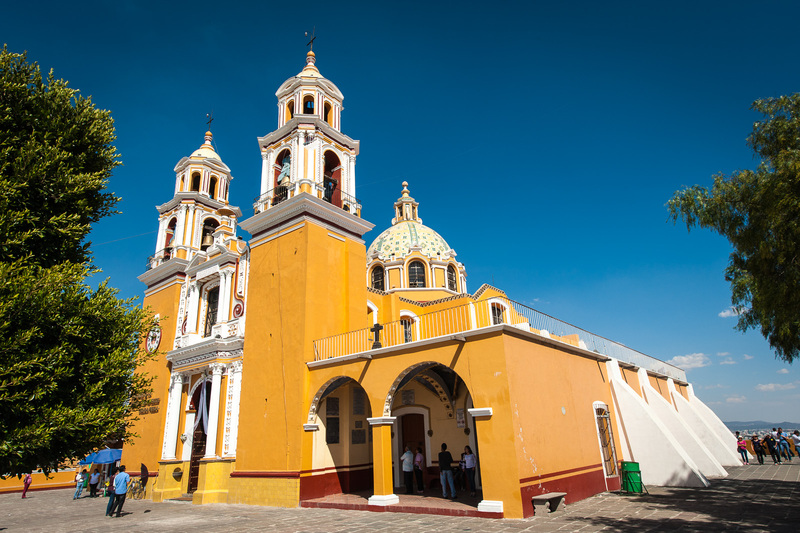 Our first stop for which we were given only 15 minutes was at Temple of San Francisco Acatepec. 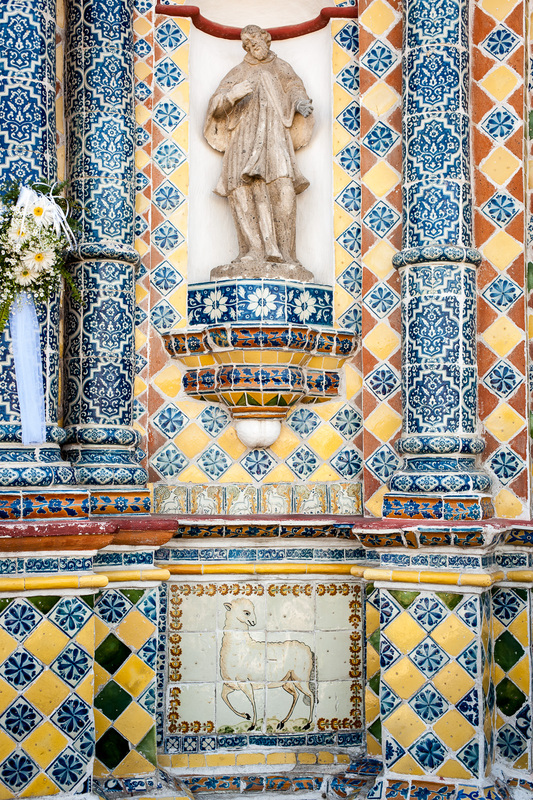 The church was founded during the 16th century, but the Mexican Baroque tile-covered facade, finished in 1760, owes its exquisite ornamentation to the golden age of Mexican Baroque and Talavera. 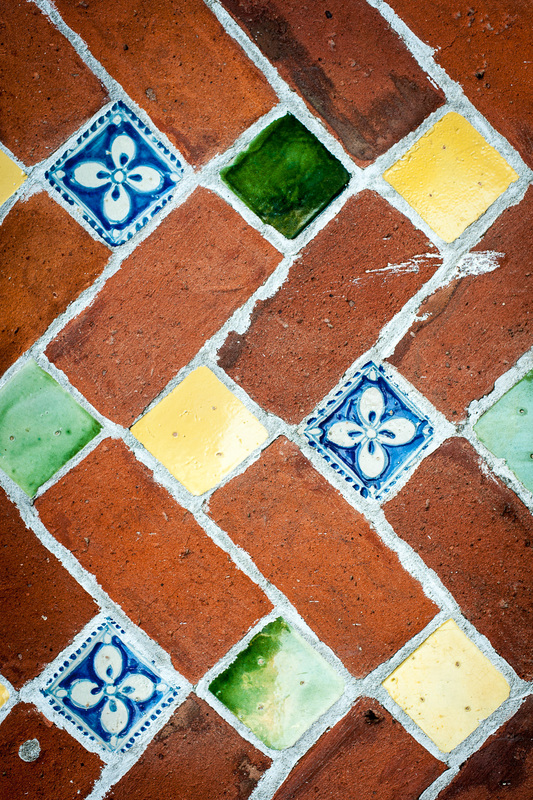 We needed much more than 15 minutes to absorb the intricacies of the colors and patterns. The interior was also stunning, but photos were forbidden. I couldn't help taking just one of the faux columns on a side wall. 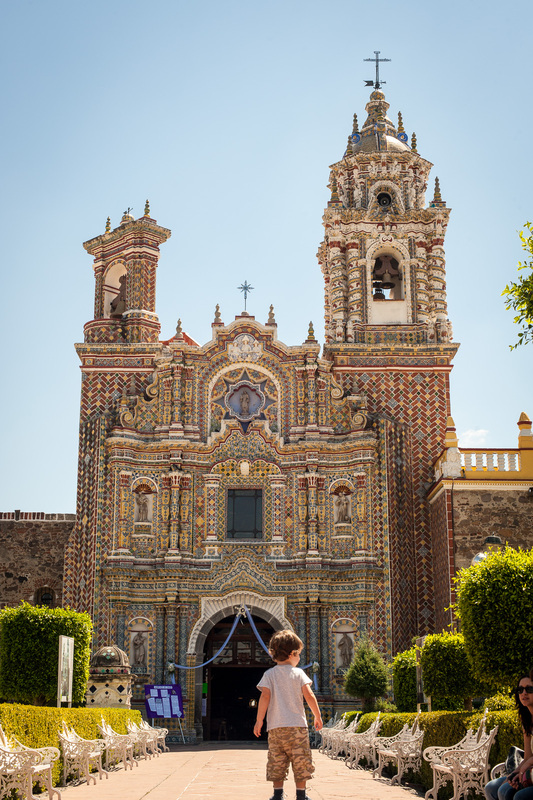 Our next 15-minute stop was at the Church of Santa Maria in the village of Tonatzintla. 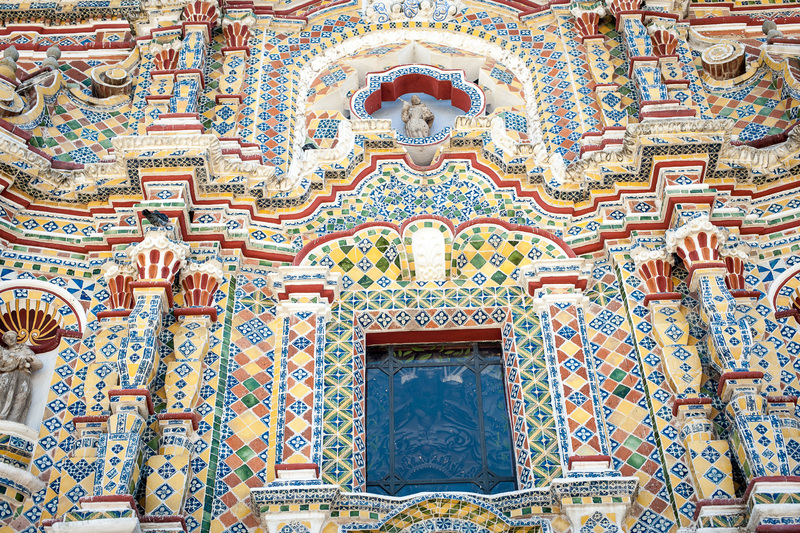 The exterior was plain compared to the Temple of San Francisco Acatepec, but the interior was fabulous, flamboyant, and so beautiful. 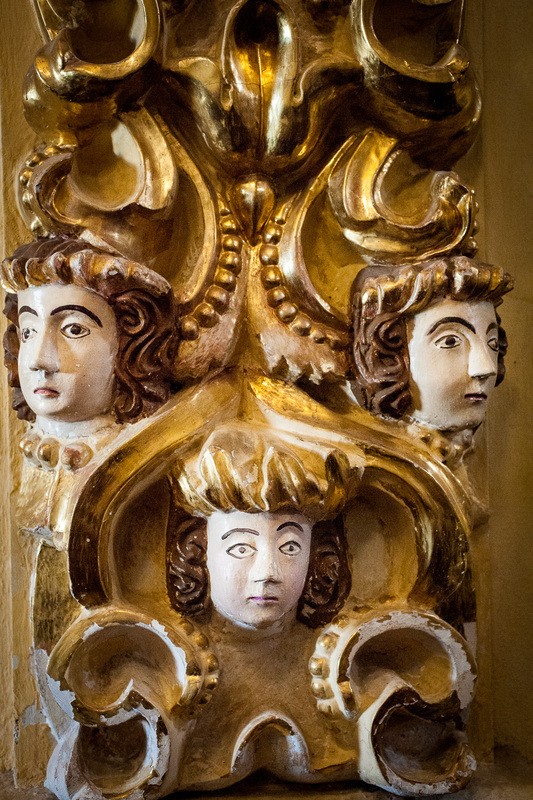 Every single inch of the interior was covered with carvings made by local craftsmen of birds, ornament, plants, local people combined with Christian elements. Sadly, no photos allowed. Our last stop of the day, three hours long, was at the archaeological ruins of the Great Pyramid of Cholula (the largest pyramid every constructed). Not much of it remains. 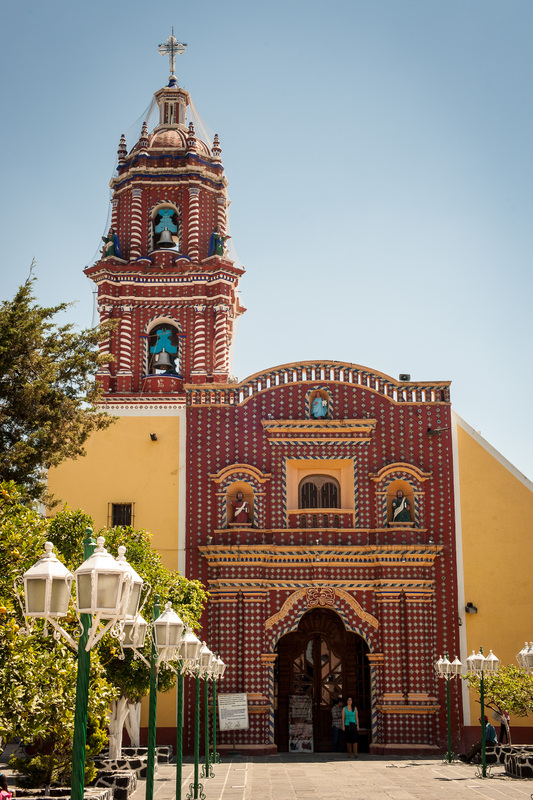 A church, Nuestra Señora de los Remedios, sits atop the former pyramid. We had lunch, we walked up, we walked down, we strolled shops, and we still had too much time here. Molé was created in Puebla, and we had a molé extravaganza. 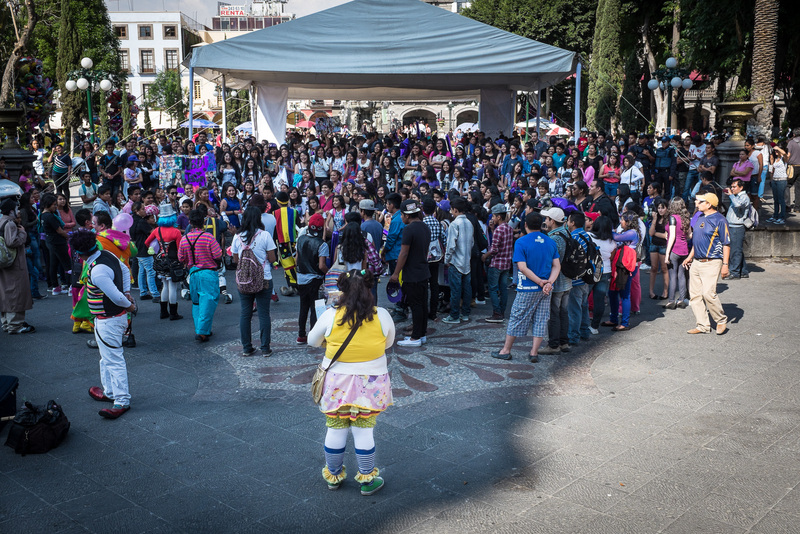 The molé creation myth that we were told says that "upon hearing that the archbishop was going to visit, the nuns from the Convent of Santa Rosa in Puebla went into a panic because they were poor and had almost nothing to prepare. The nuns prayed and brought together the little bits of what they did have, including chili peppers, spices, day-old bread, nuts, and a little chocolate. They killed an old turkey, cooked it and put the sauce on top; the archbishop loved it, when the nun was asked the name of the dish, she replied, "I made a Mole". Mole was the ancient word for mix, now this word mostly refers to the dish, and rarely is used to signify other kinds of mix in Spanish" (Wikipedia). Molé poblana incorporates about 20-25 ingredients (dried chiles, fruits, chocolate, nuts, seeds, and spices), involves a lot of grinding, and takes hours and hours to cook. 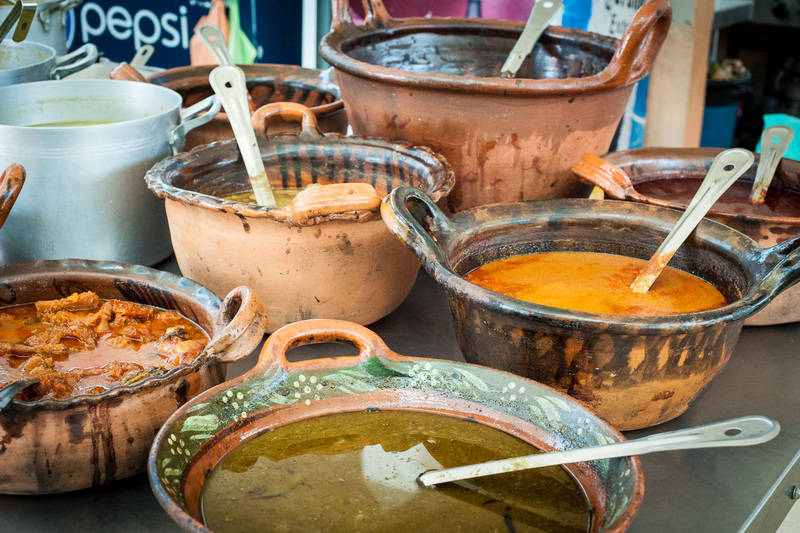 Here in Puebla we had several versions of molé poblano. In some, the chocolate stood out as the main flavor. 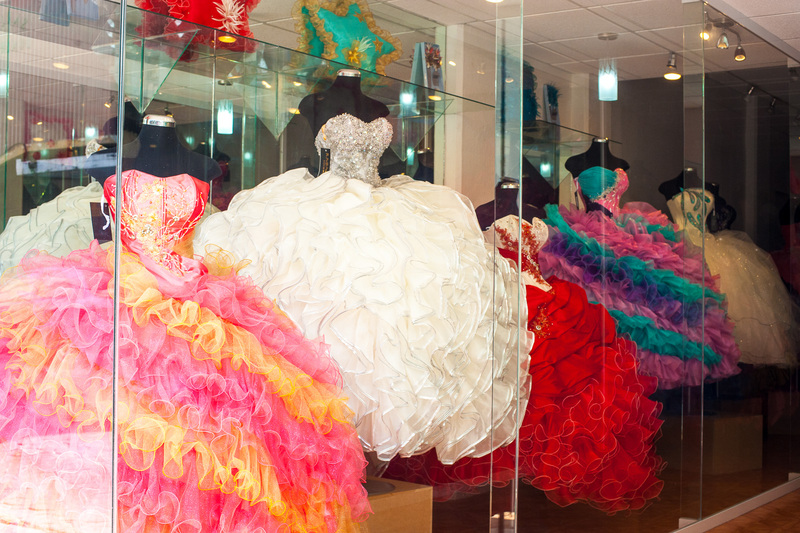 These were Dan's favorites. I preferred the smooth earthy molés in which every flavor was melded together so no one ingredient stood out. We also tried every other molé that we came across. 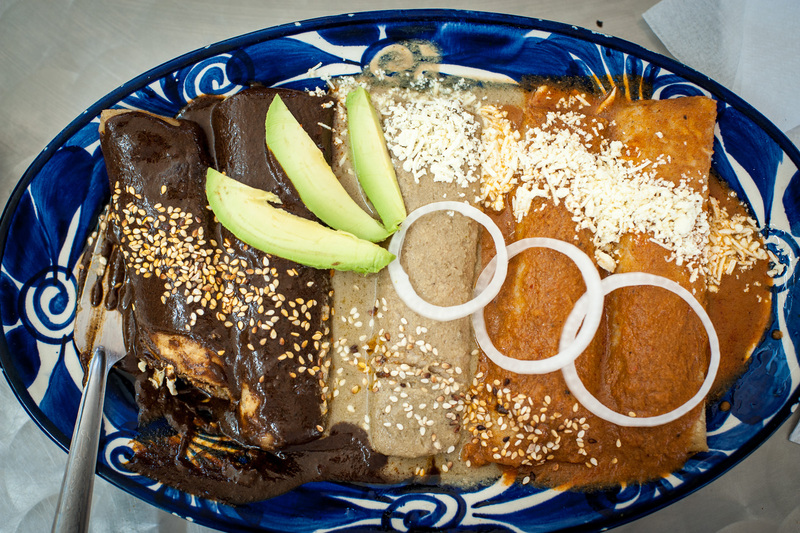 Who knew there were so many flavors of molé! Pipian Verde: a green molé sauce of pumpkin seeds, tomatillos, serrano chiles, and herbs. Pipian Rojo: a red molé sauce of peanuts, tomatoes, dried guajillo chiles, and herbs. Adobo: a molé made from guajillo and ancho chiles which create a deep, red color. Manchamanteles: a pleasant sweet, red molé made with sesame seeds, tropical fruits, and guajillo chiles. On day four, we had molé for both lunch and dinner. Our lunch at a traditional foods center, Mercado de Sabores de Puebla, may have been the best deal in town. I stopped at Cocina "La Sopa" where I was mesmerized by large, traditional pots filled with delicious smelling molés and other specialties. For less than $5 I had molé three ways: Poblana, Pipian Verde, and Pipian Rojo. 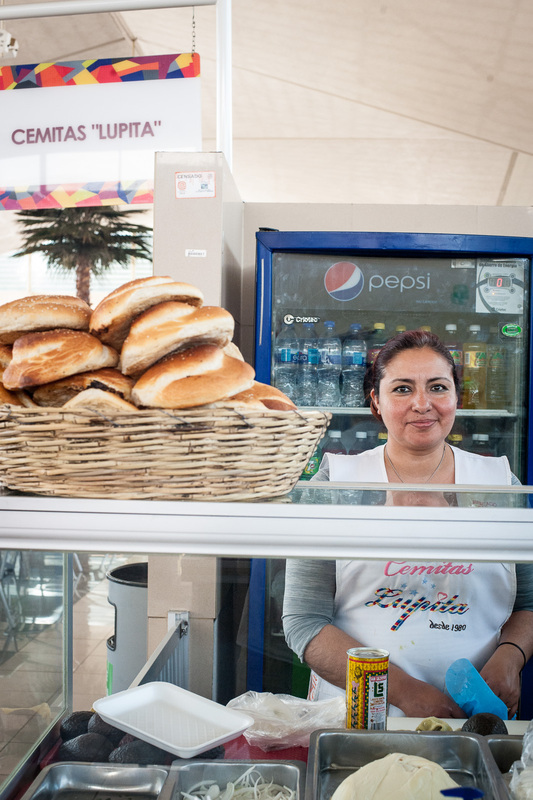 Dan had a cemita from Cemitas "Lupita" which is a sandwich filled with meats and cheeses. 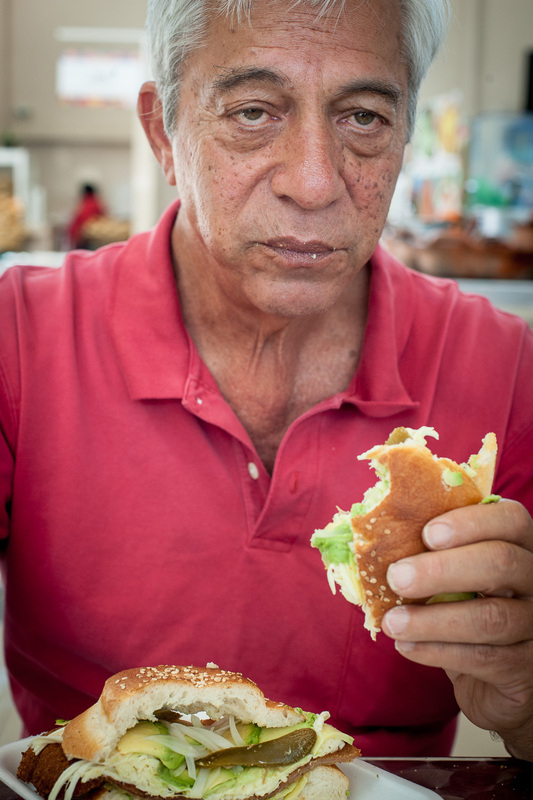 Even though his face doesn't look like it, he was very happy to have a sandwich. 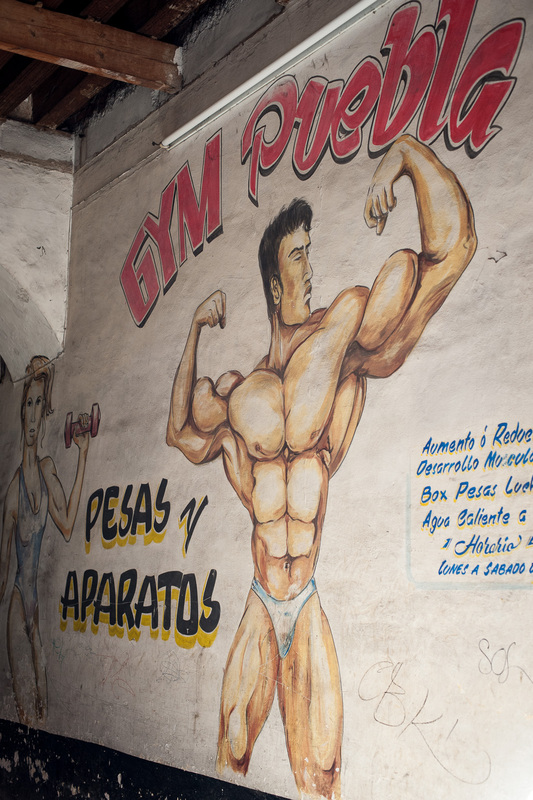 The food in Puebla is so delicious that if we were staying in Puebla longer, we would definitely need to join a gym. 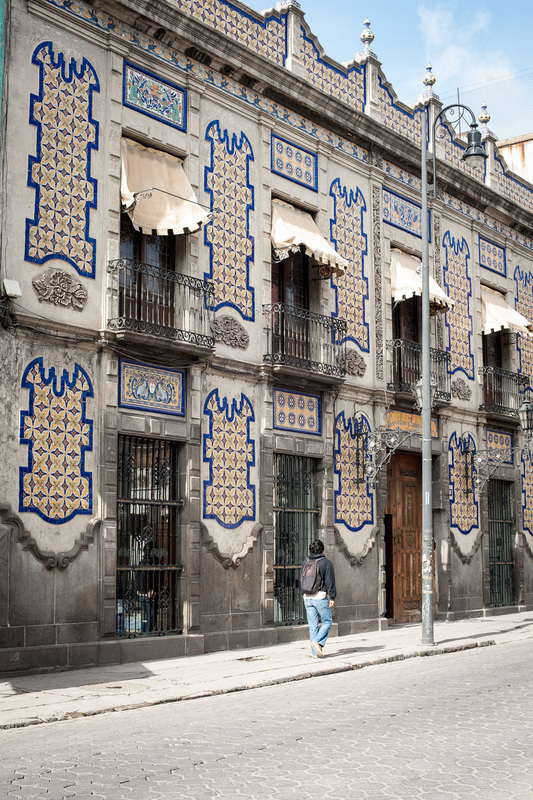 While the tiles and food are delightful, so are many other aspects of Puebla. 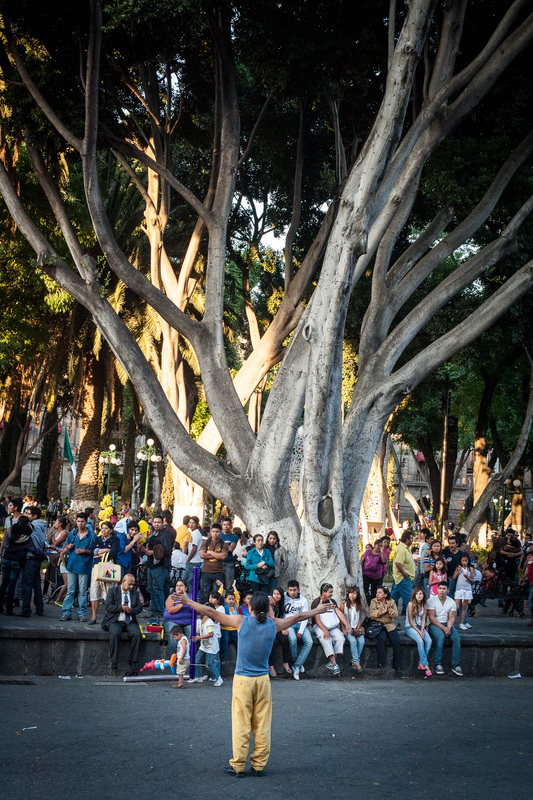 Everyday and evening something was going on around the zócalo (center square). 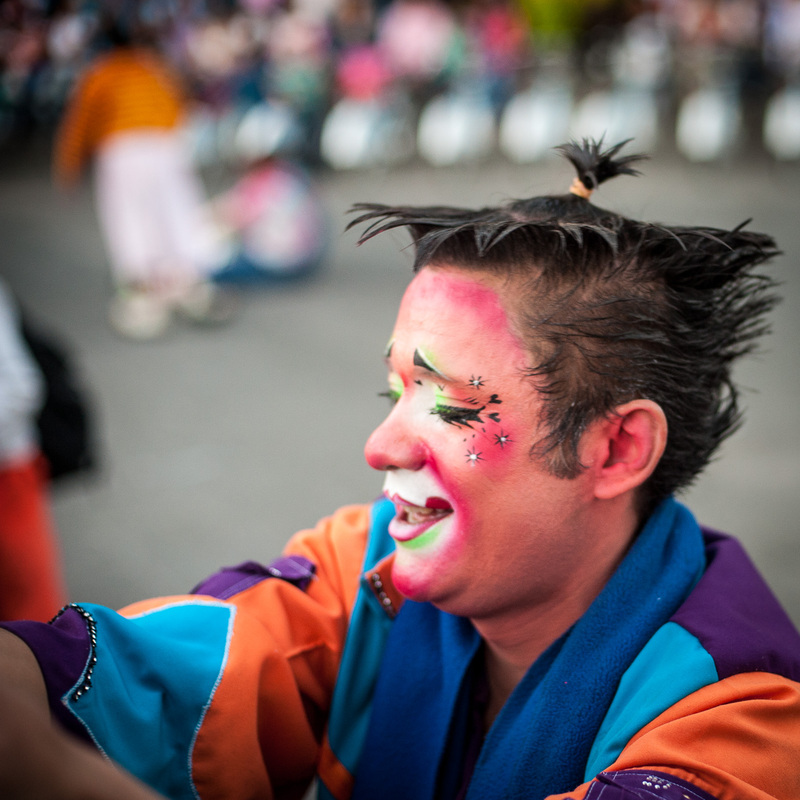 There were clown performances and orchestras. 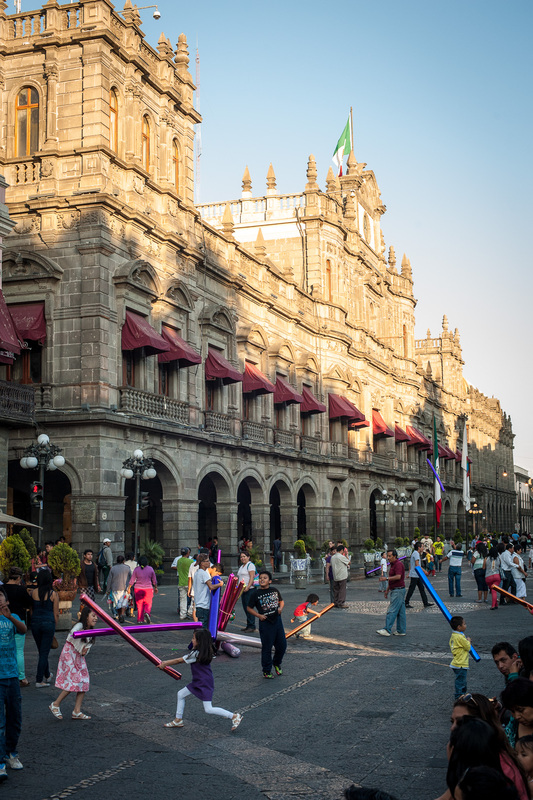 On weekends, the streets surrounding the zócalo are closed to traffic for bike riders and children playing. 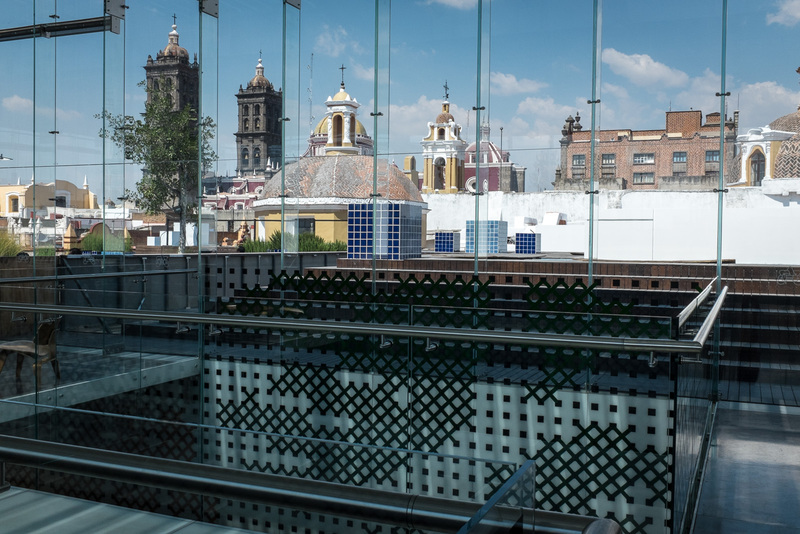 We went to the world-class Museo Amparo. 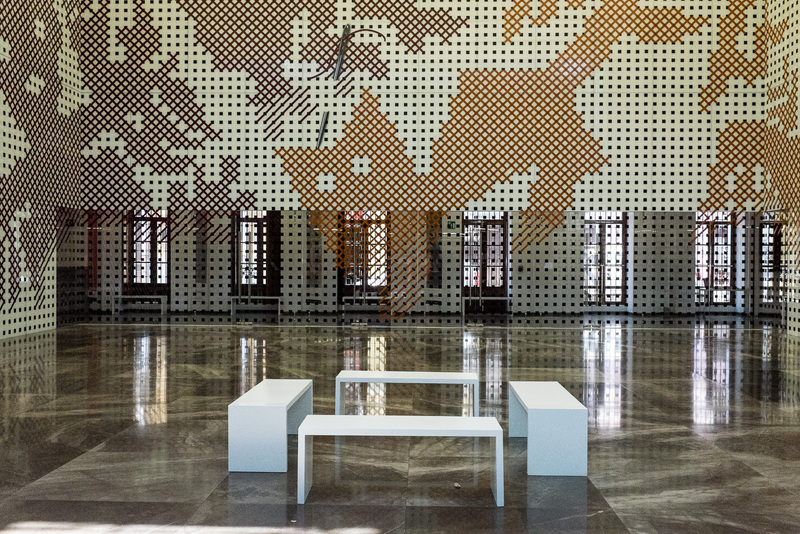 The lobby walls were decorated with an imaginary needlepoint with threaded needles showing a work in progress. Curator Alberto Lopez Cuenca's description of textile work struck a chord with me. He states, "Embroidery does not seem to be the best way to tell a different story. However, like the white walls of the museum, it says a lot while seemingly wanting to tell nothing at all. What does its silence tell us? The historical silence of women and the anonymity in their writing is notorious....., the themes and images that are braided in embroidery are public and popular - plant and animal motifs, ordinary scenes. Nothing very heroic: no battle and no victorious soldier from a noble family. Embroidery tells a story without names. ..., a woman sewn into local tradition, becoming a mythical character and, therefore, phantasmagoric: she is present to the extent that she is absent, just like female and domestic work, like embroidery, like the memory of forms and collective dreams...,"
This is why I'm drawn to handmade textiles. 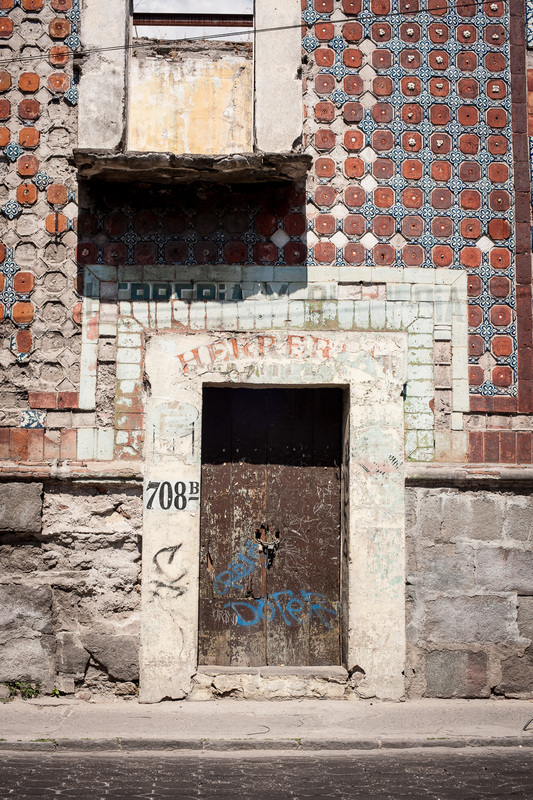 So much about Puebla was interesting and lovely, but this blog entry is already too long. We stayed at the CasaReyna located about 4 blocks from the center-- a lovely boutique hotel with restaurant. 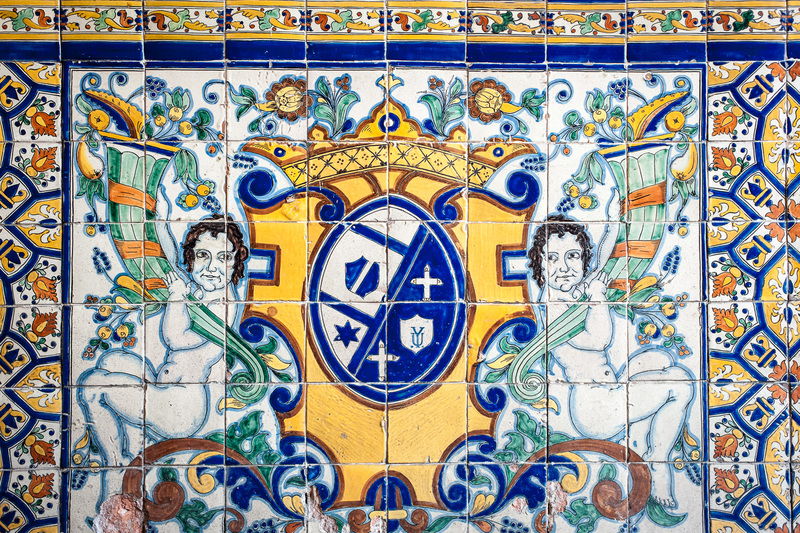 The hotel and restaurant are decorated with and display Talavera pottery. 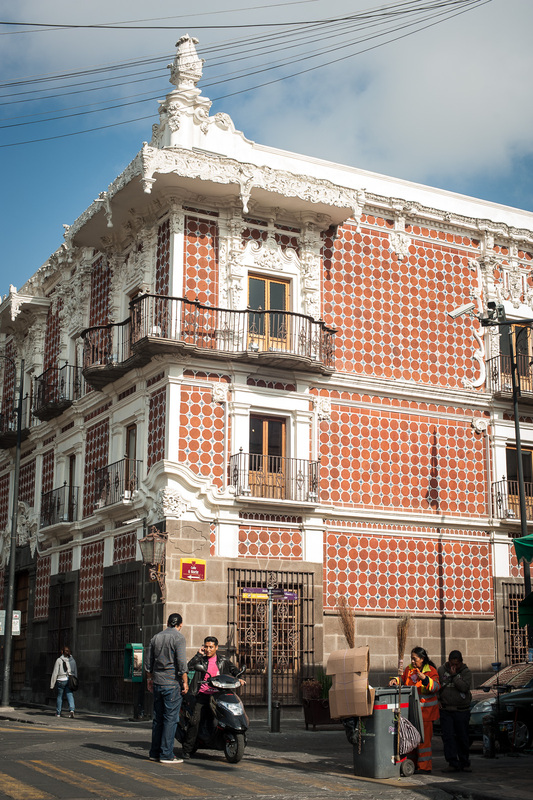 In addition to El Mural de los Poblanos, we ate at Hotel Colonial Restaurant (reasonable and my favorite molé), Entree Tierras (contemporary, trendy, excellent duck tacos), and CasaReyna's Restaurant (Dan's favorite molé). I recommend all of them. There is an excellent Tourist Information Office (north side of the square) with maps and information about events. 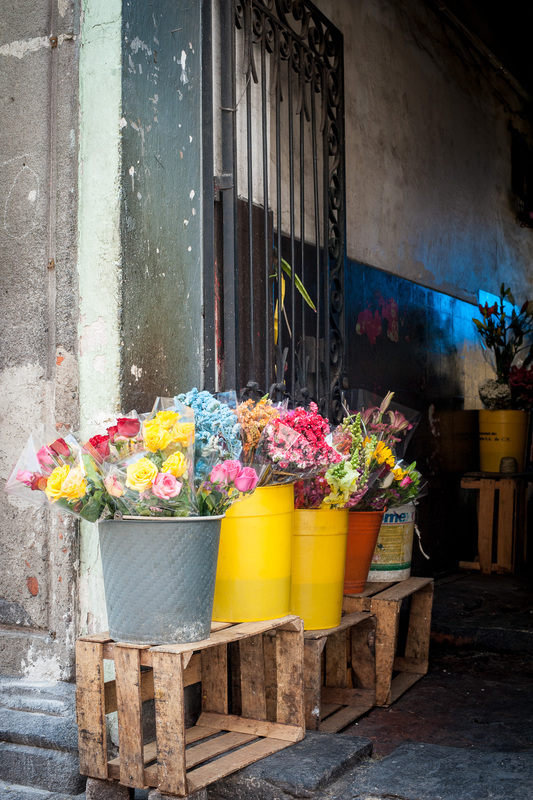 Upon leaving Puebla, we took another comfortable bus directly to Mexico City Airport. It took about two hours. 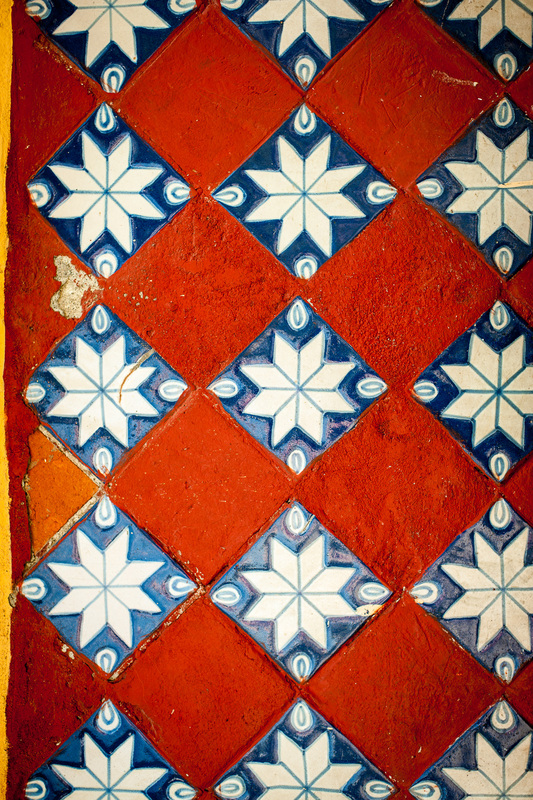 For insight on visiting or living in Puebla, go to the "All About Puebla" website at http://www.puebla-mexico.com/.